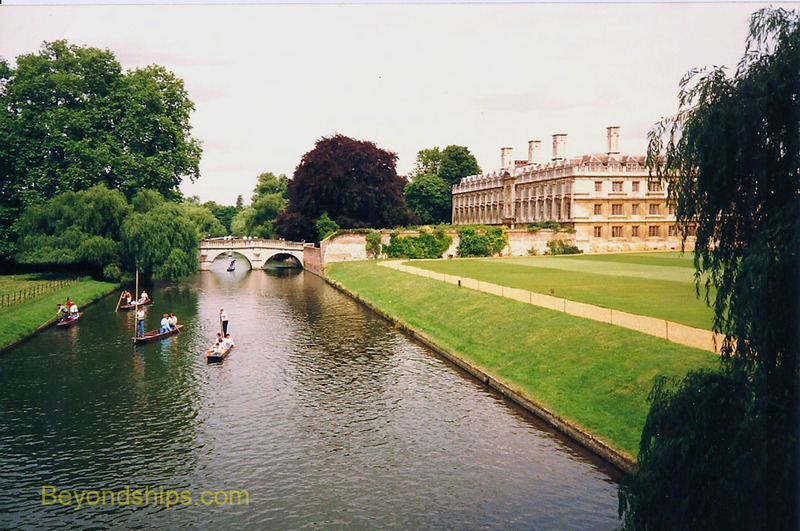 When you see a photograph that is supposed to symbolize Cambridge University, it is most often of King's College. With its late Gothic, cathedral-like chapel, classical buildings and expansive green lawns King's presents a majestic view. Not surprisingly, it is included in just about every tour of Cambridge. 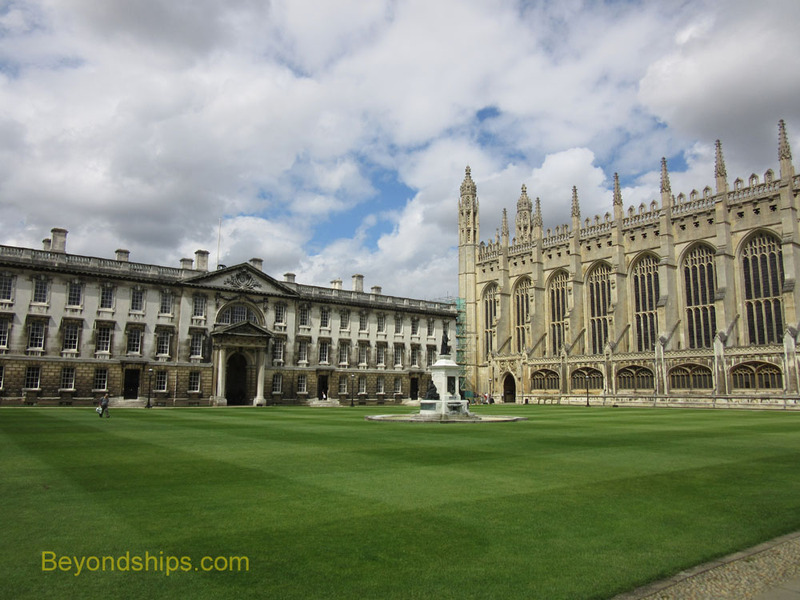 The college was founded in 1441 by King Henry VI when he was just 19 years old. His idea was to create an institution of higher learning for students who had attended the public school that he had just founded near Windsor, Eton College. For four centuries, King's only admitted Etonians and they were allowed to receive a degree without passing an examination by the university. Henry did not choose vacant land for his new college. Rather, he cleared a huge area of Cambridge of its houses, shops and churches, adding to the townsfolk's resentment toward the university. He had a grand design for the college but only lived to see a portion of the chapel constructed. Visitors generally enter the college from King's Parade. The college is separated from the busy shopping street by the Gatehouse and the Screen, designed in the neo-Gothic style in the 1820's by William Wilkins, who also designed the National Gallery in London. 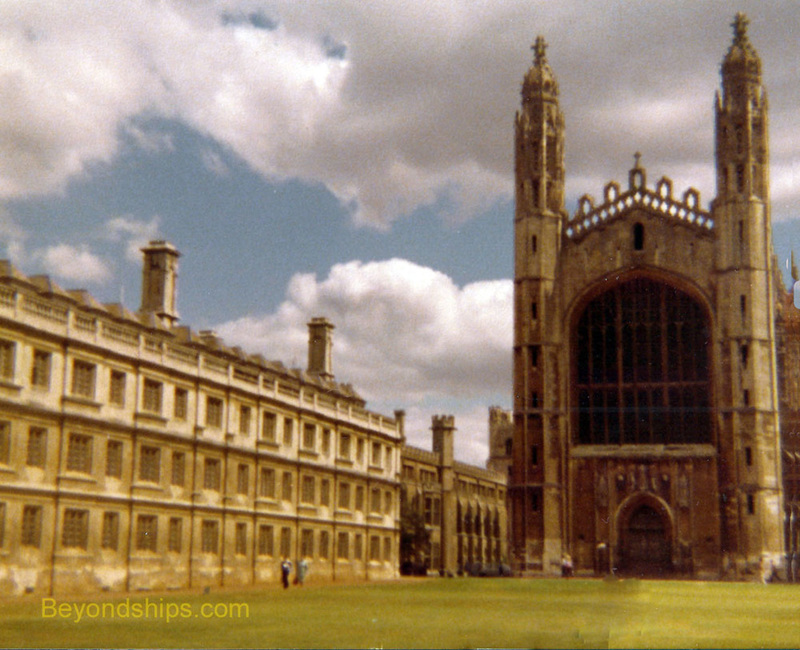 The Front Court is dominated on its north side by the King;s College Chapel. 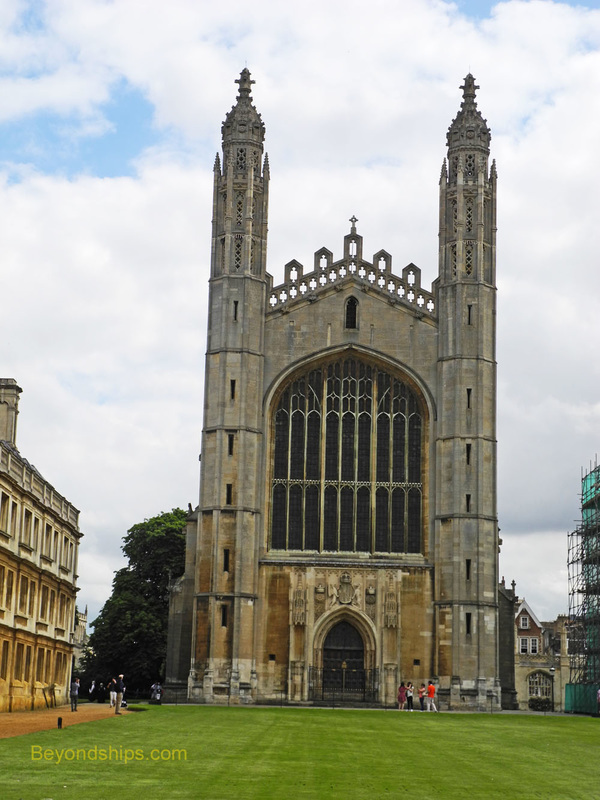 It is a must-see on any visit to Cambridge. Therefore, proceed to the northwest corner of Front Court and then around the front of the chapel to its entrance on the northern side. (Note: It is also possible to get to the Chapel entrance by walking from King's Parade past the Senate Building and then along in back of the Old Schools building. This can be handy during those times when the college is closed to visitors but the chapel is not). It took nearly a century to complete the Chapel. The civil was known as the War of the Roses was taking place and there were delays in the construction as power shifted back and forth between the contestants. The Chapel was finally completed under the Tudor kings Henry VII and Henry VIII. 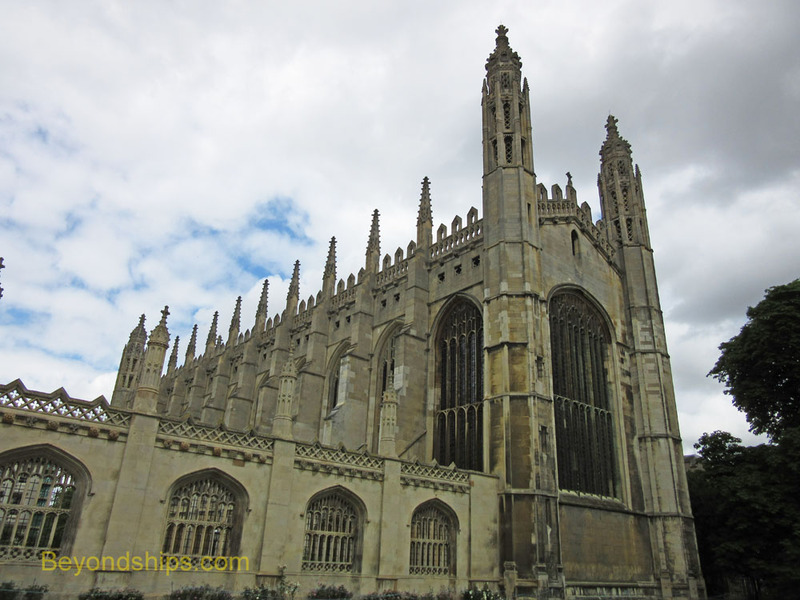 King's College Chapel was built on a much grander scale than any other college chapel. Indeed, it resembles a cathedral more than a humble chapel. The architect was the King's master mason Reginald Ely. Inside the Chapel soars up to vaulted ceiling. It has a remarkably light and delicate feel.. Adding to this is the natural light, which enters through great stained glass windows. Walking toward the altar, you come to the carved wooden screen. This was commissioned by Henry VIII and so bears his initials and those of Anne Boelyn, his second wife. It is somewhat unusual to see this as Henry made an attempt to eliminate such inconvenient reminders after he had her executed. In fact, it is amazing that the screen and the stained glass windows survived at all. During the English Civil War, Parliamentary troops used the chapel for drilling. Although Oliver Cromwell had attended the University and was Member of Parliament for Cambridge, most, but not all, of the colleges supported King Charles I. You still hear colleges referred to as being Royalist or Parliamentary. At the far end of the Chapel, the altar piece is a large museum-quality painting: “The Adoration of the Magi” (1664) by the Flemish master Sir Peter Paul Rubens. It was donated to King's in 1961. The Chapel continues to be used for religious services to this day. In fact, the Christmas Eve service, which features the King's College Choristers, is broadcast around the world. Above: King's College Chapel from outside of the college on King's Parade. Below: The Chapel from the Back Lawn of the college. Above: Interior views of the Chapel. 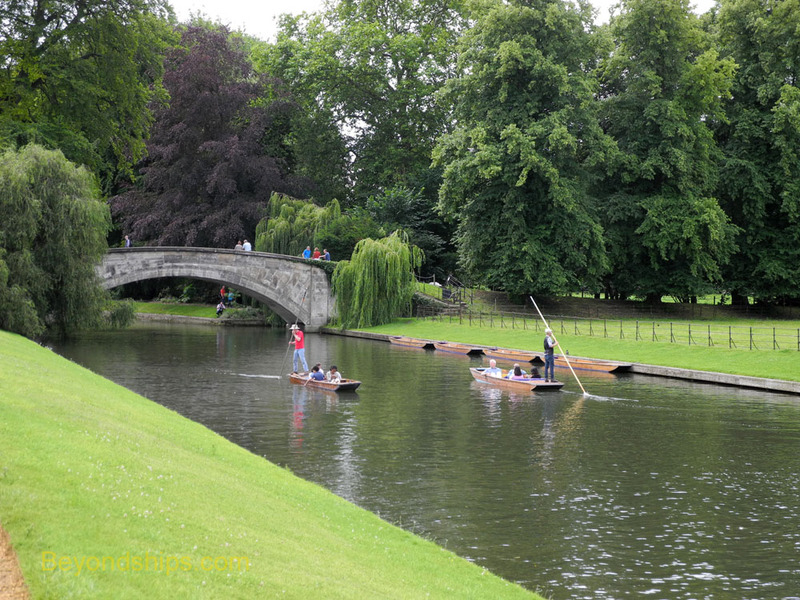 Below: The River Cam from the King's Bridge. Exiting the Chapel, the large classical style is the Gibbs Building constructed between 1724 and 1729. It provides a pleasing contrast to the Gothic style of the Chapel. To the west is the large expanse of the Back Lawn. It slopes gently down to the river. 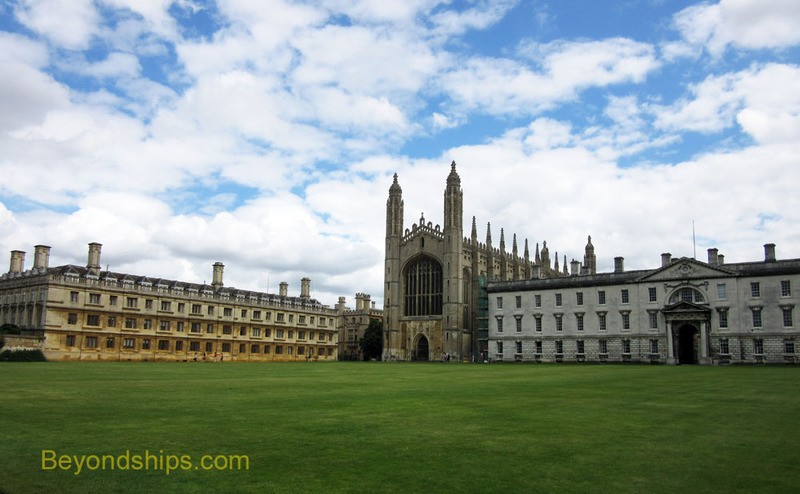 In the southwest corner of the quadrangle that surrounds the Back Lawn is King's Bridge. From the bridge and the path leading away from it on the other side of the river, you have the magnificent views of King's often seen in the postcards.